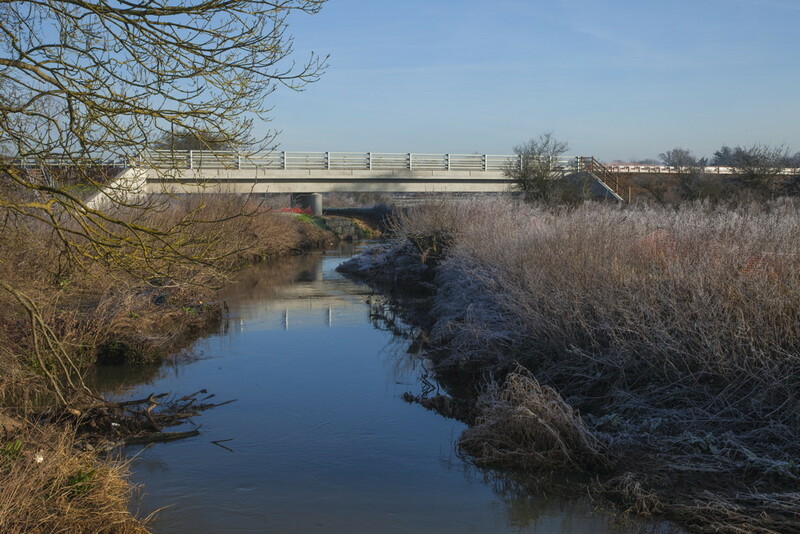 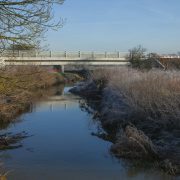 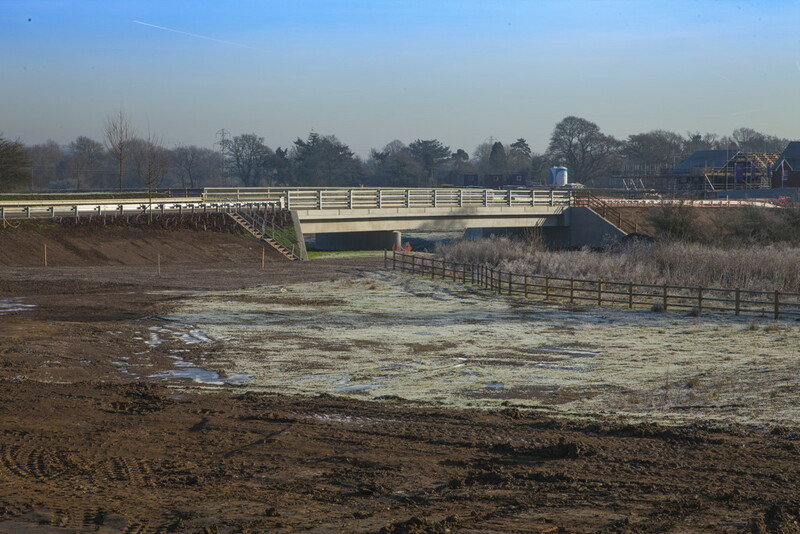 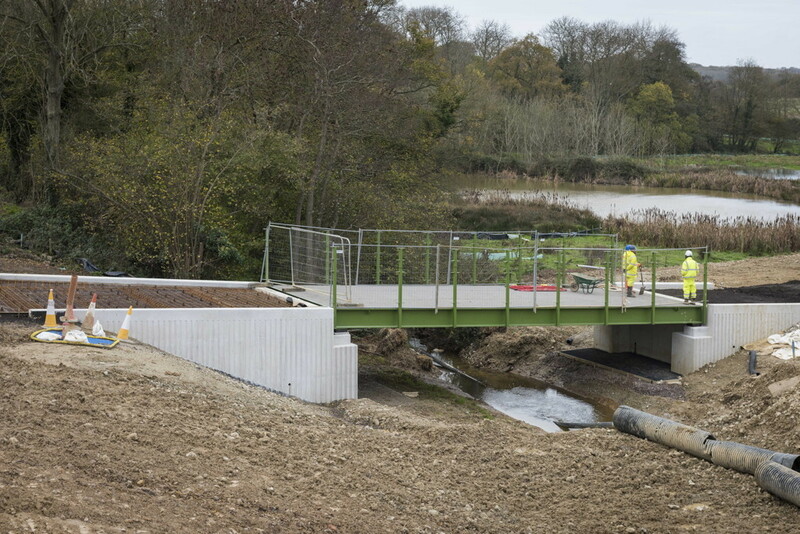 The main structure consists of a new bridge spanning the River Mole. 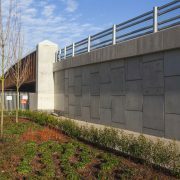 RC elements include pilecaps, wingwalls, a central pier with bearing plinths and radius ends and abutments with bearing shelves and retaining walls. 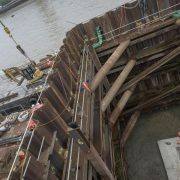 The main span was formed with precast beams, insitu diaphragms, insitu deck topping over GRP permanent formwork and insitu cantilever parapets, the second span was formed with an insitu deck on falsework poured around anchored EPS void formers. 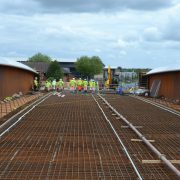 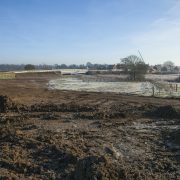 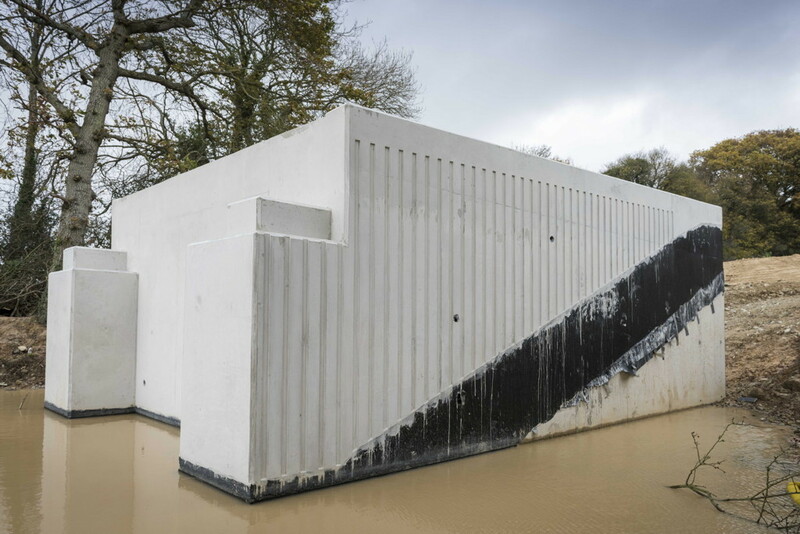 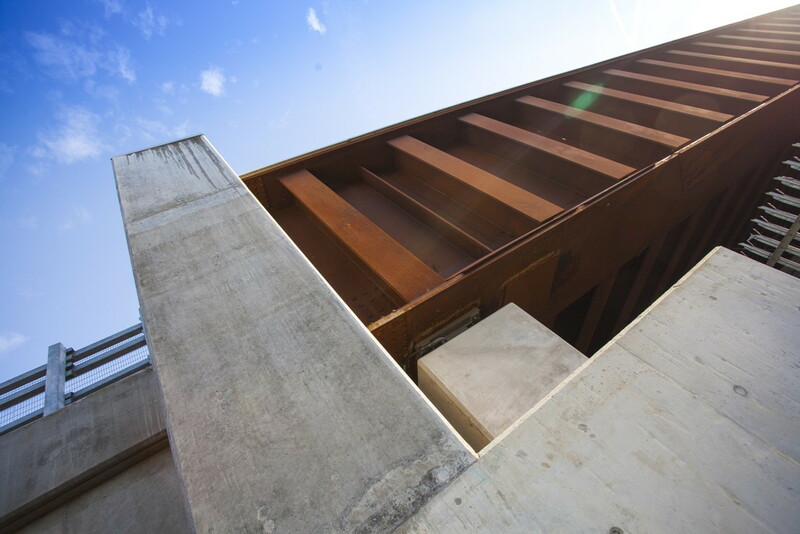 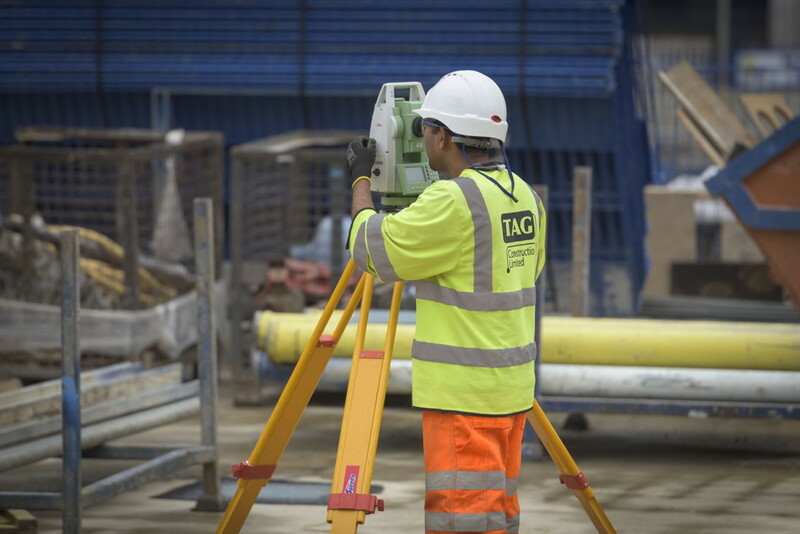 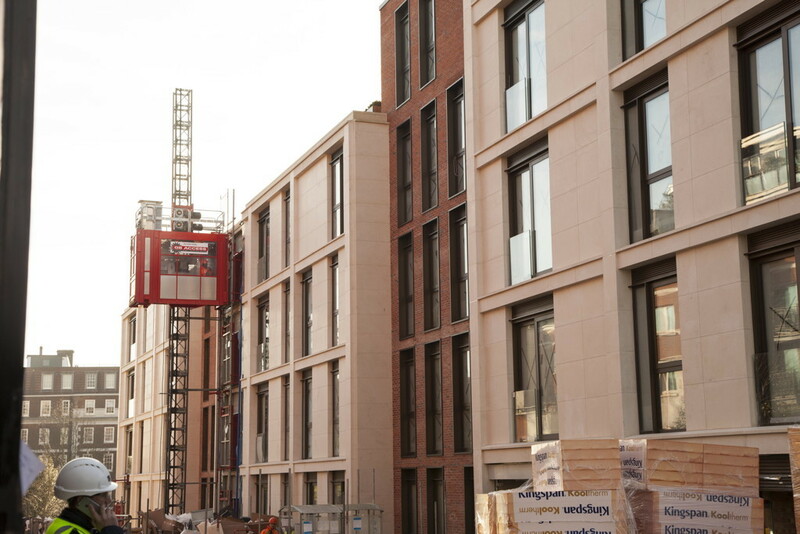 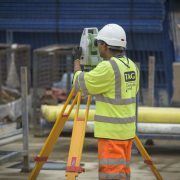 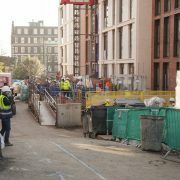 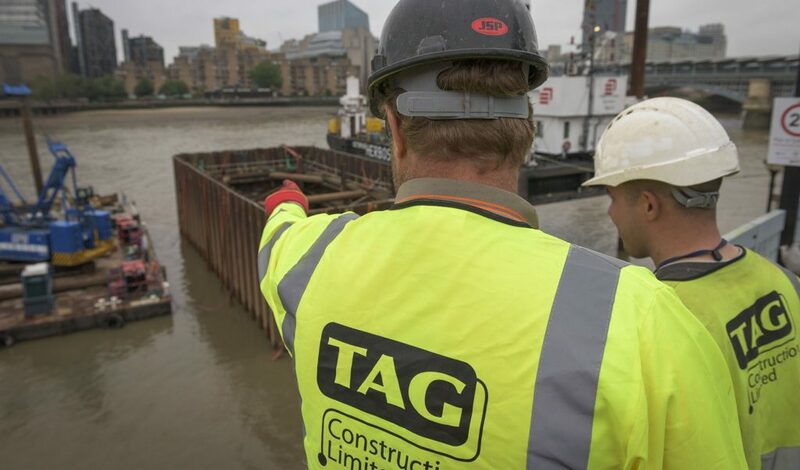 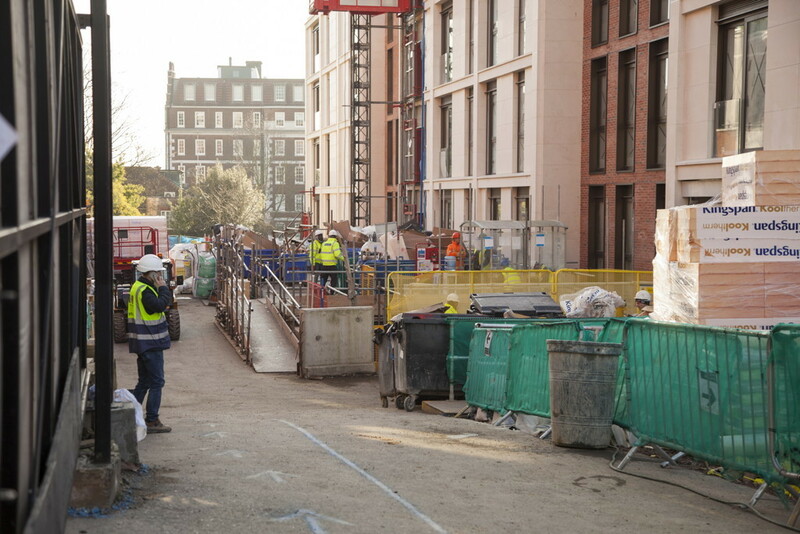 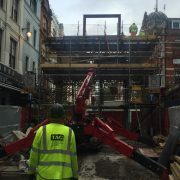 TAG Construction Ltd were responsible for all formwork, reinforcement and concrete elements of the structure, including all temporary works designs and supply of temporary works, void former installation, permanent GRP formwork installation, movement and moment joint installation. 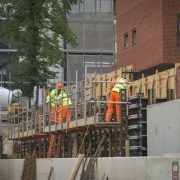 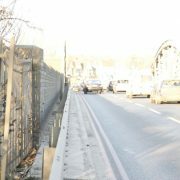 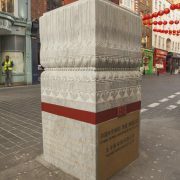 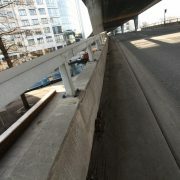 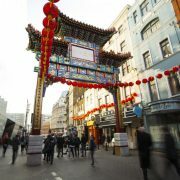 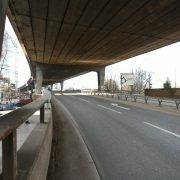 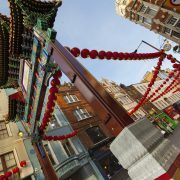 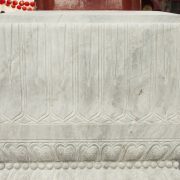 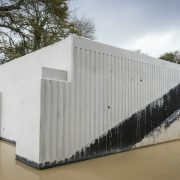 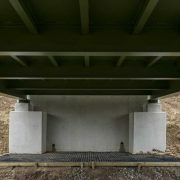 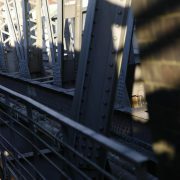 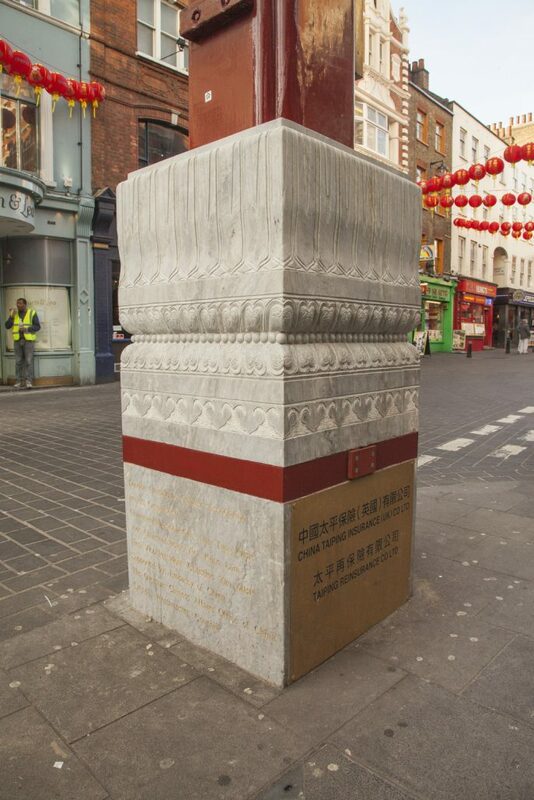 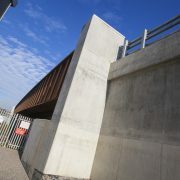 The works followed a detailed programme produced by TAG to allow for successful sequential completion of the structure. 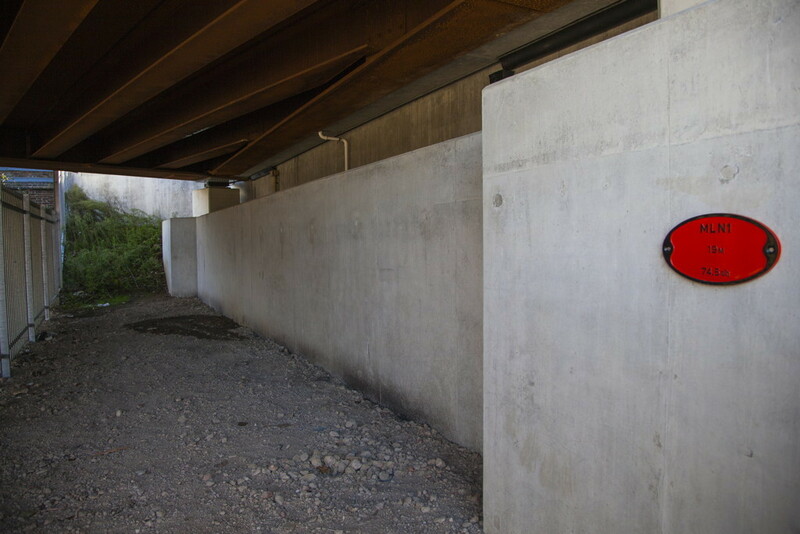 The project consisted of construction of a Spillway, Concrete Slabs, Walls, Capping Beams and Weed Dumping Slab. 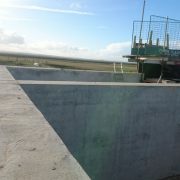 This consisted of pouring blinding and back blinding to walls and slabs. 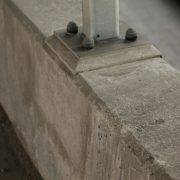 Fix Rebar to slabs, beams and walls. 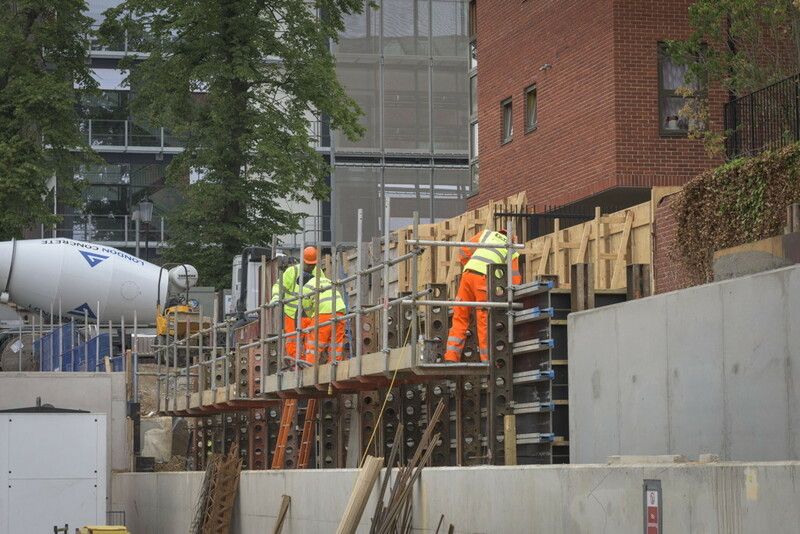 Then form formwork and temporary works to slabs. 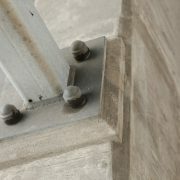 Finish with Concrete. 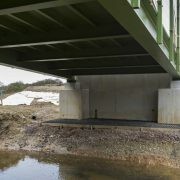 Work was carried out to the programme and budget. 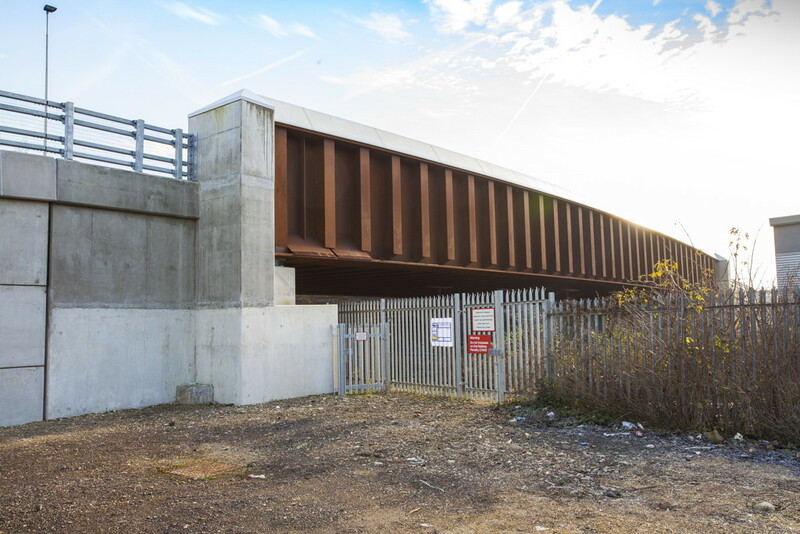 Leigh Road Bridge working over a live Network Rail Line for Osborne. 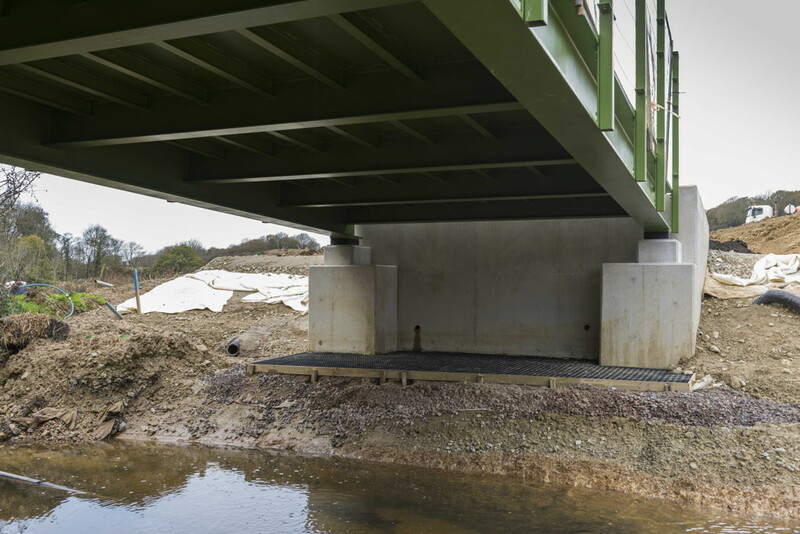 Pilecaps, new bridge abutments, wingwalls, bearing shelf with drainage and bearing plinths. 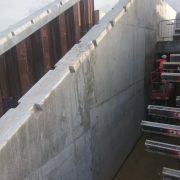 Retaining walls, pilasters. 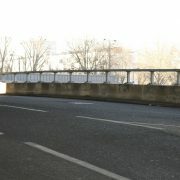 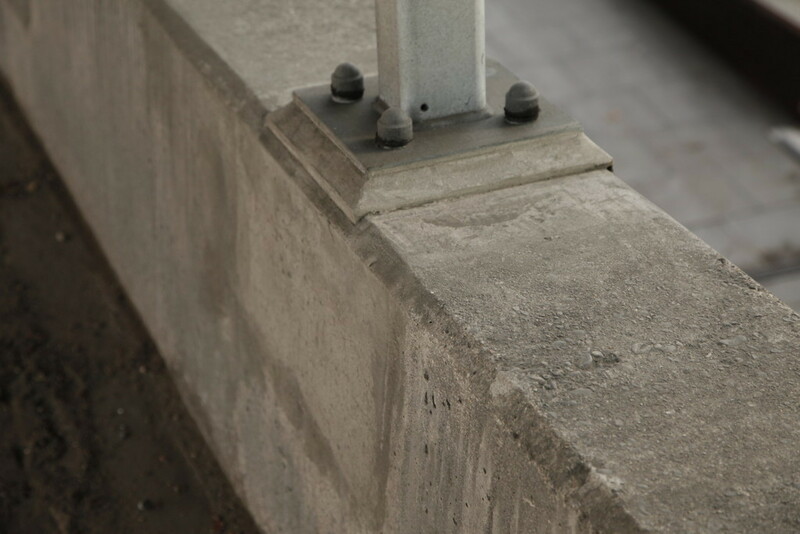 RC bridge deck with Parapet stich. 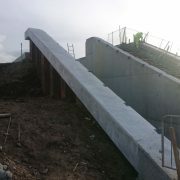 VRS approach ramp Coping stone foundations and ground beams. 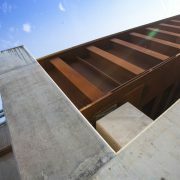 Baynards House (BT) for BAM Nuttall. 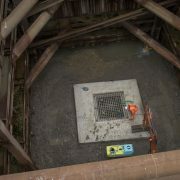 Construction of a new water tight RC chamber around an existing tunnel carrying water cooling pipes. 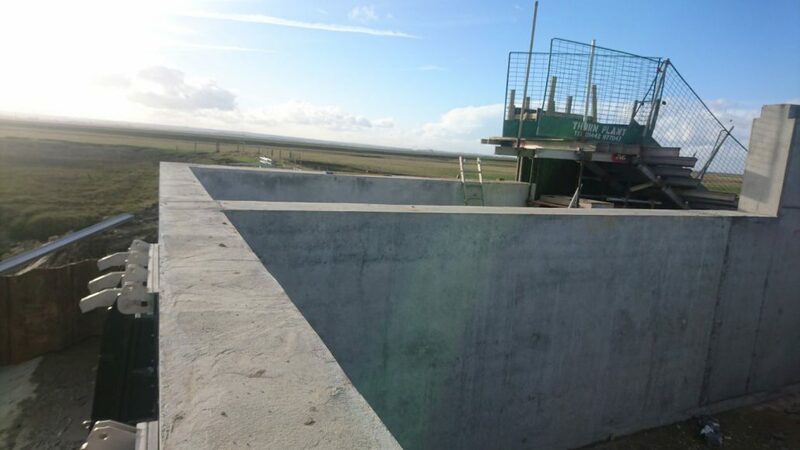 Construction of a sheet pile capping beam, precast flood protection cover slab and new inlet bellmouth surround. 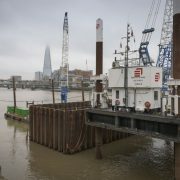 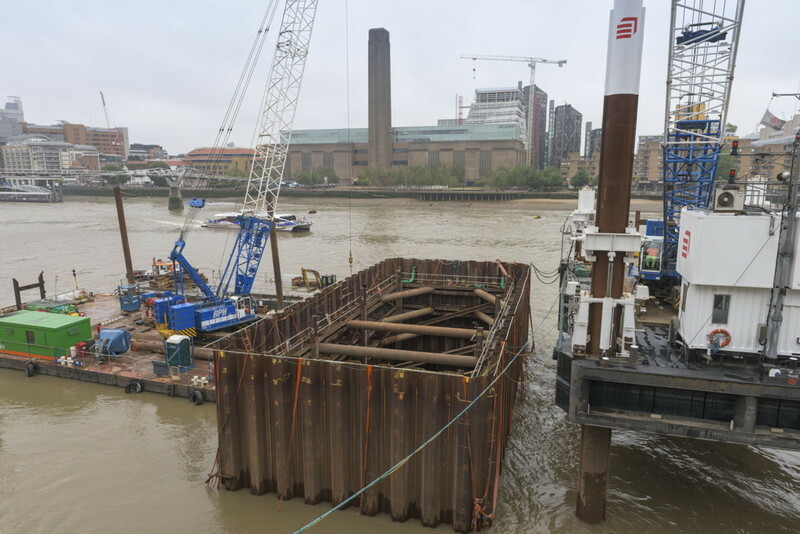 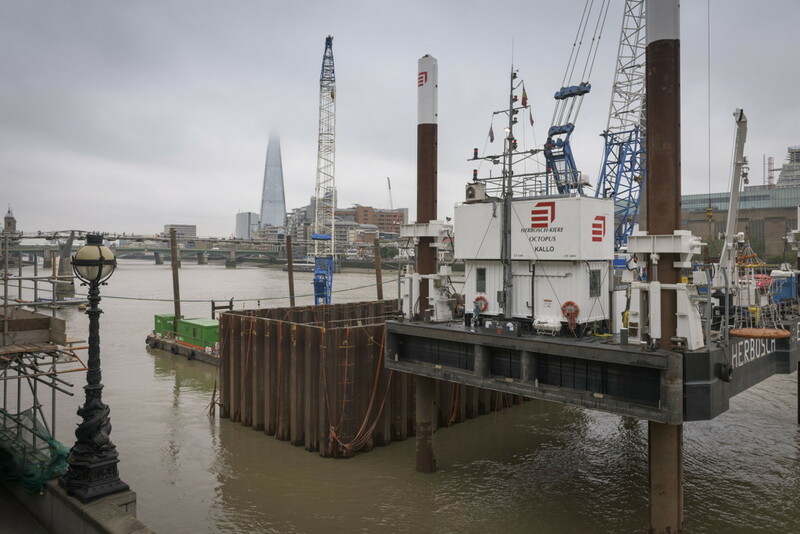 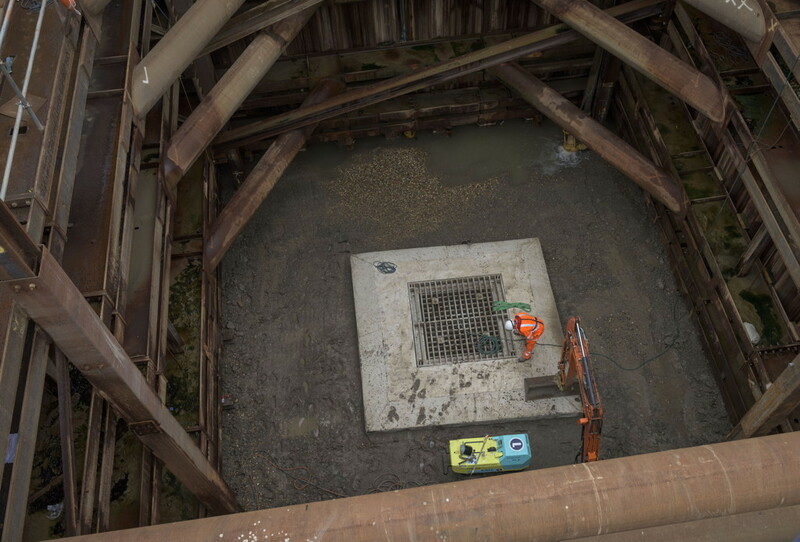 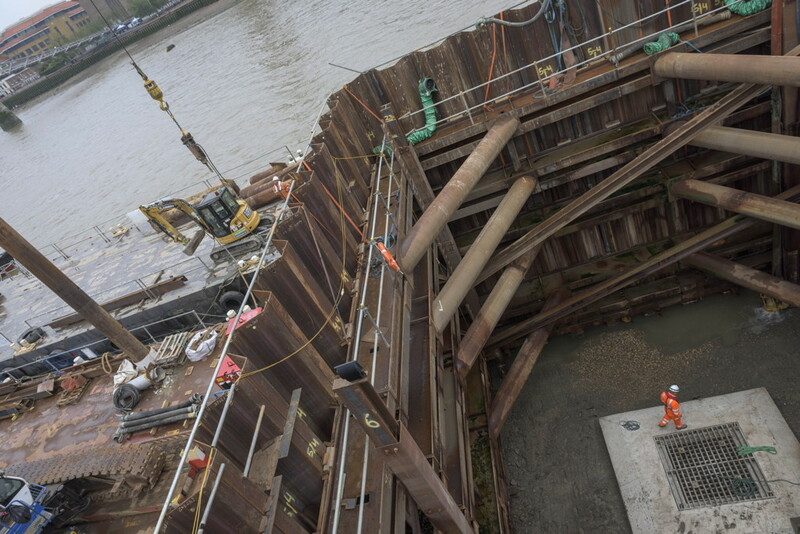 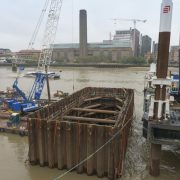 Working within a main cofferdam and a secondary cofferdam down through the Thames riverbed. 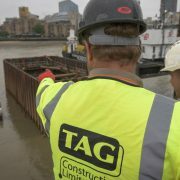 Working generally from barges and within the cofferdam with manrider access only. 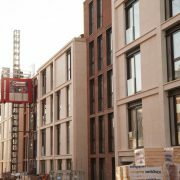 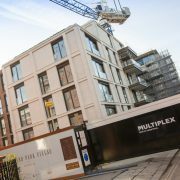 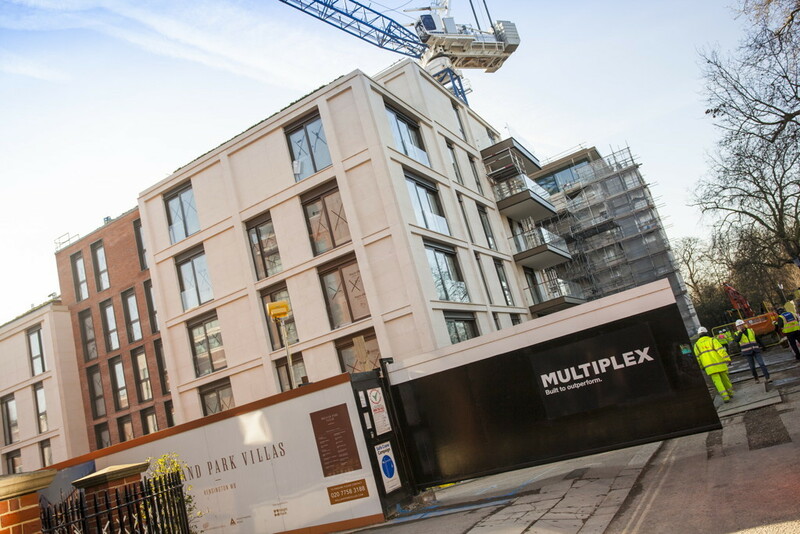 Enabling works and ongoing civils works, Holland Park Villas for Brookfield Multiplex. 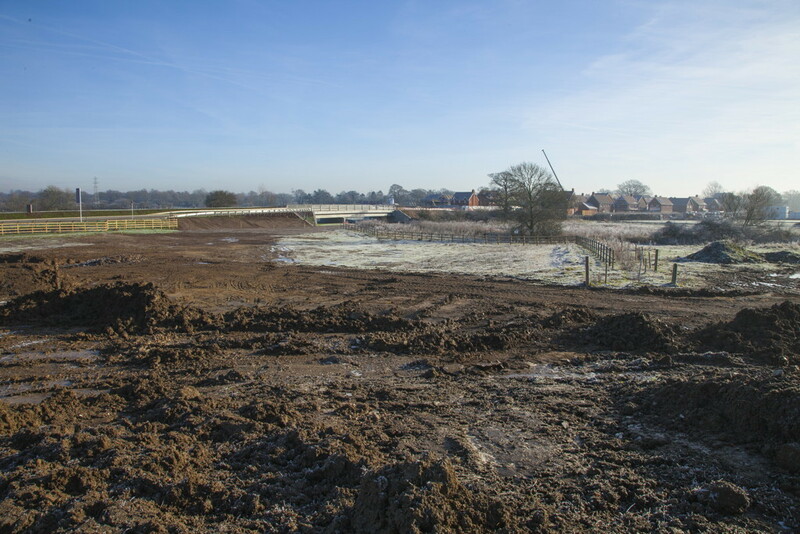 Testing and muckaway of existing spoil. 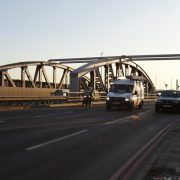 Import, place and compact of Type 6 and Type 1. 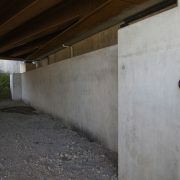 Construction of a new RC retaining wall, fill and blacktop pavement for access. 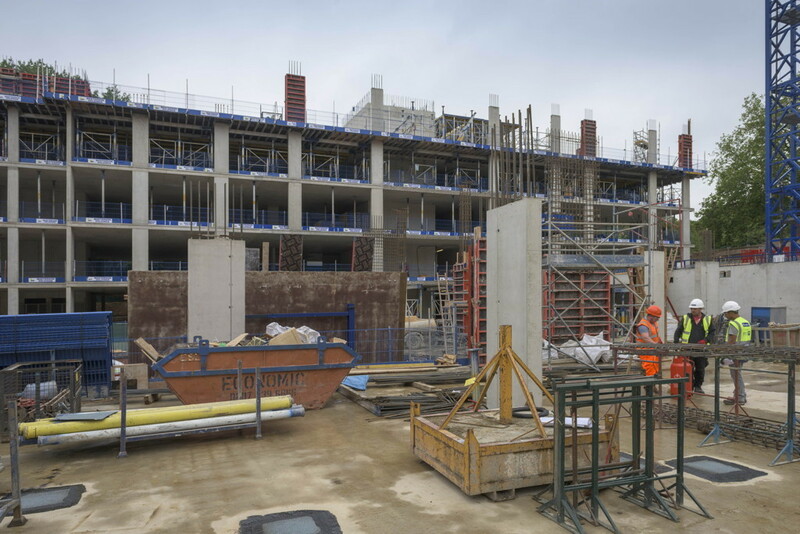 Ongoing works include general repairs to the building RC frame, excavation for utilities, provision and installation of a roof edge protection fall restraint system, plant plinths, RC upstands and demolition of the welfare block support steelwork. 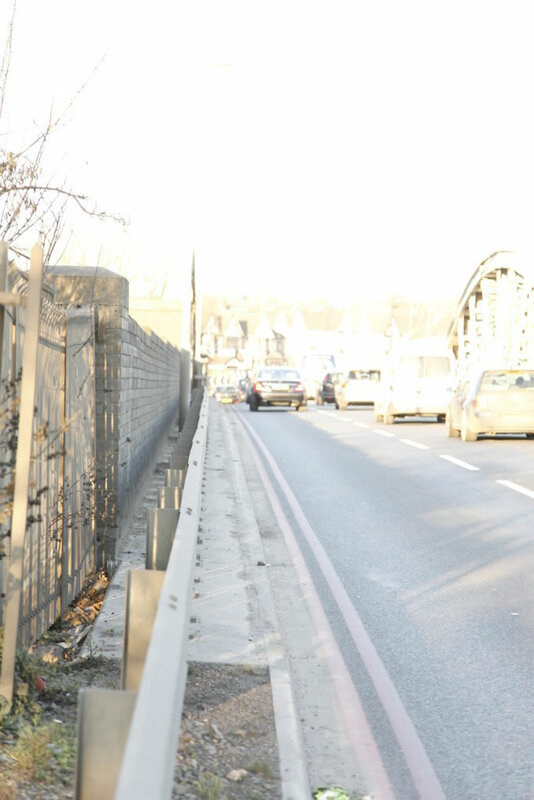 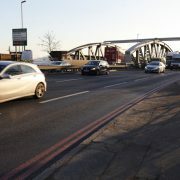 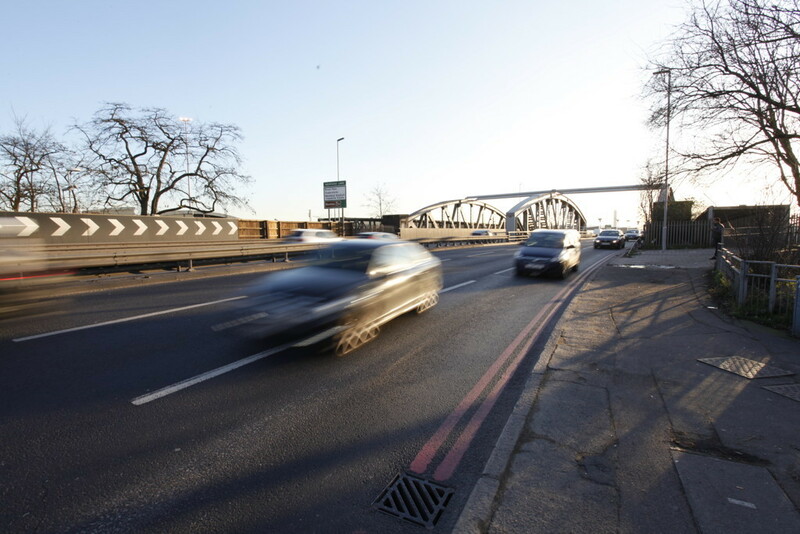 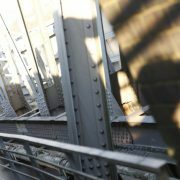 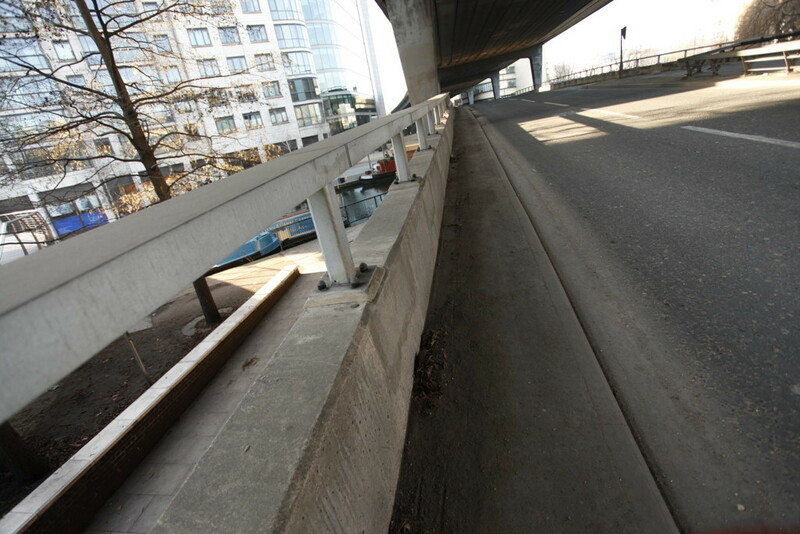 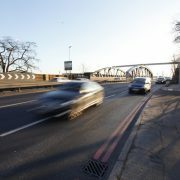 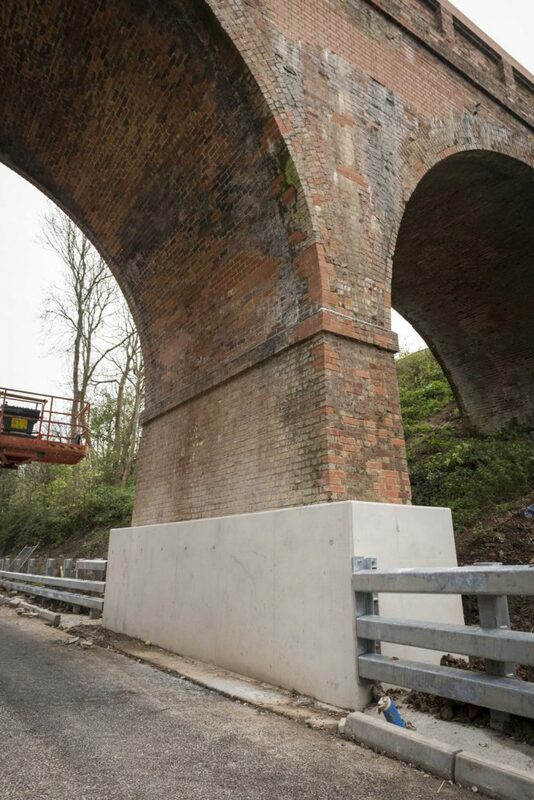 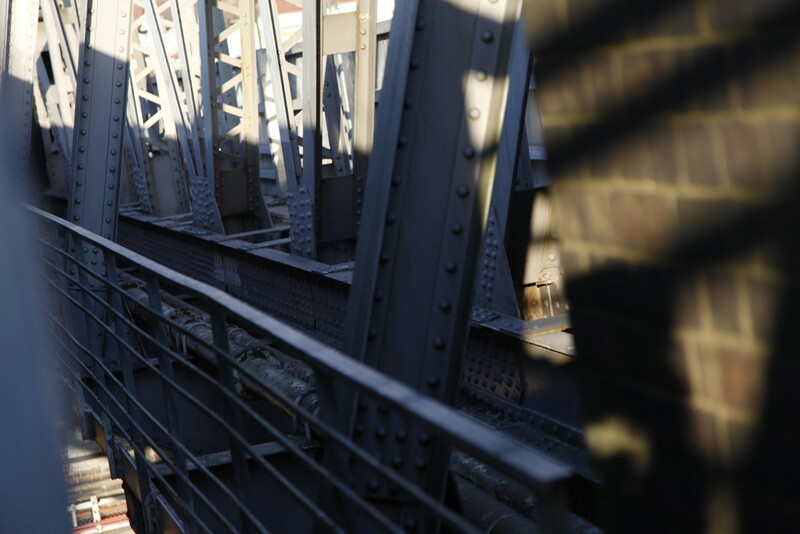 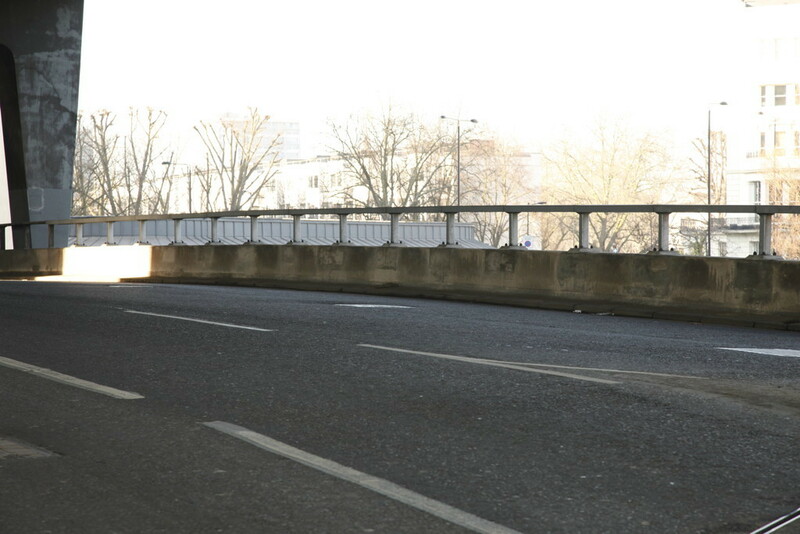 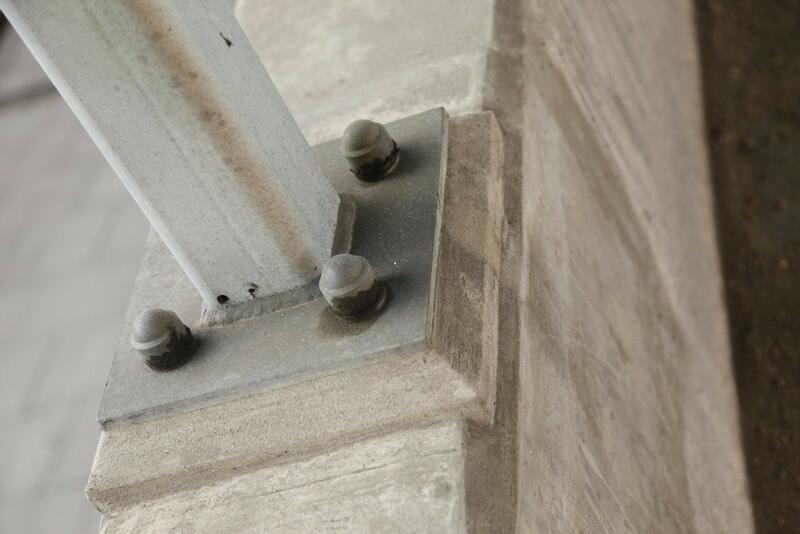 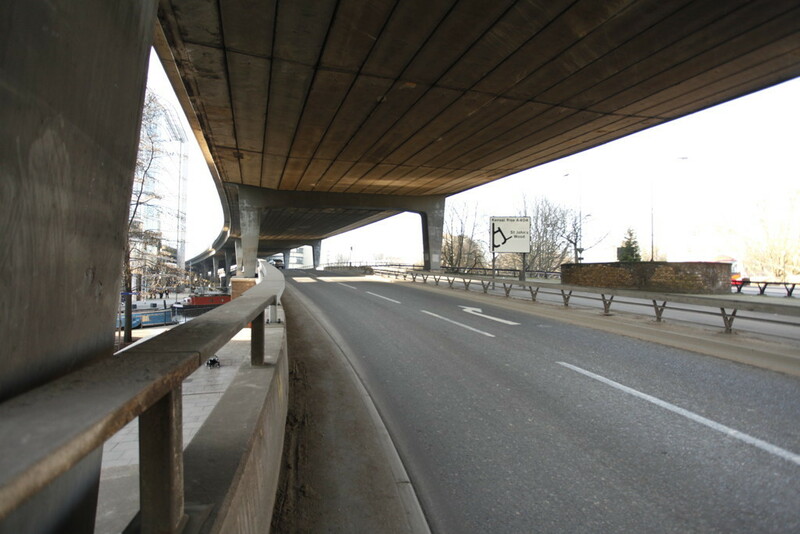 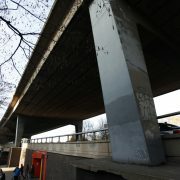 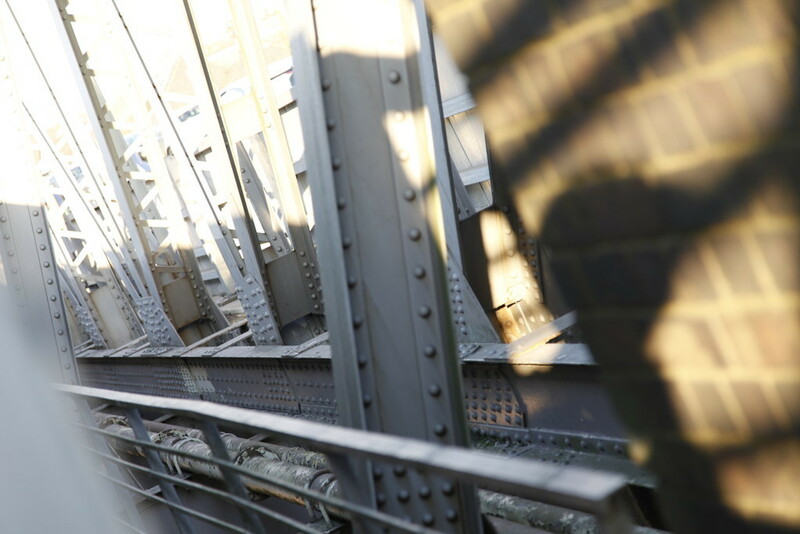 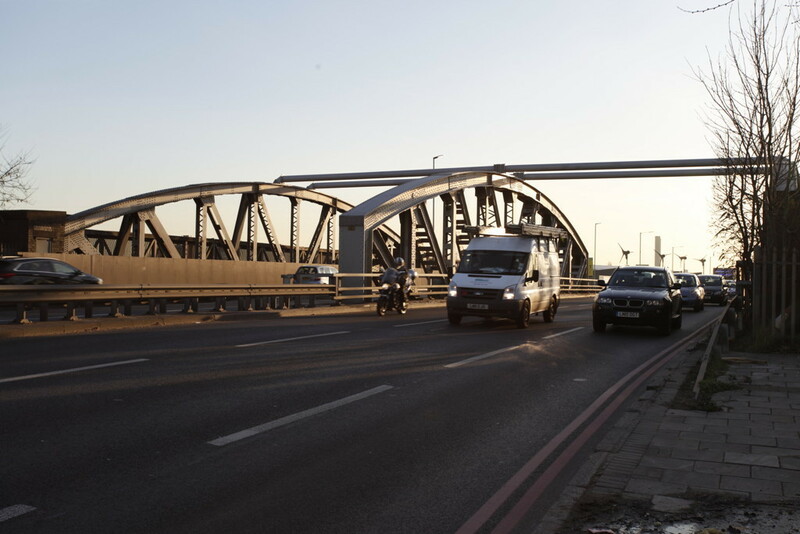 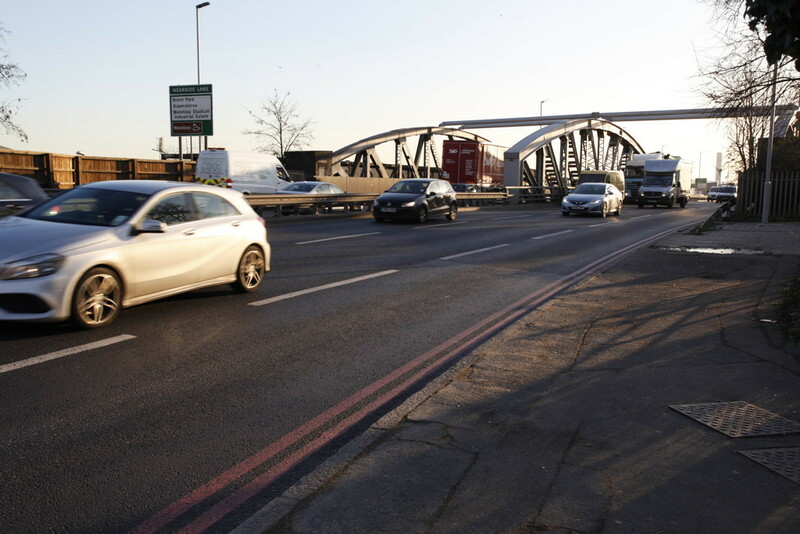 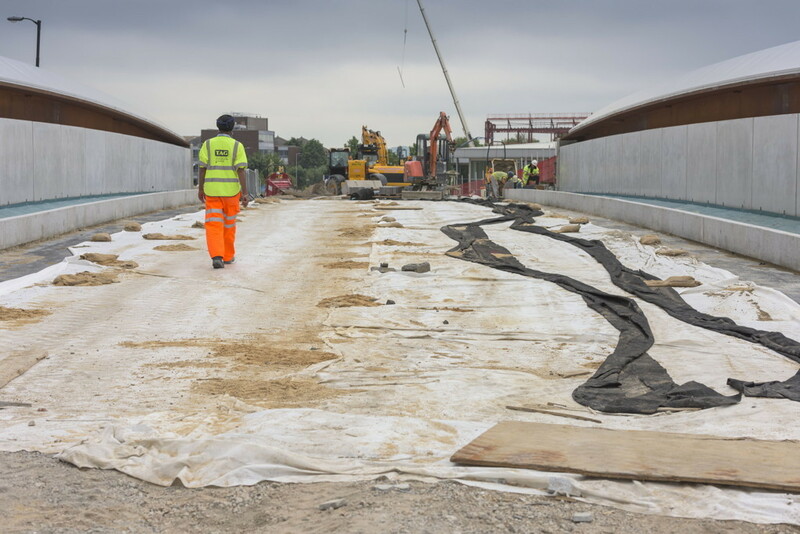 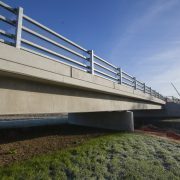 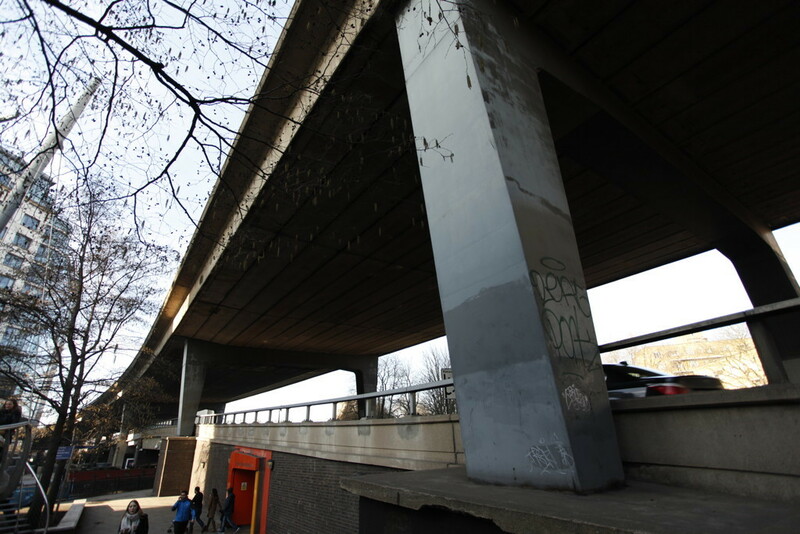 TAG Construction Ltd were contracted to supply and replace approximately 140m of galvanized vehicle restraint parapet, including repairs to the concrete where existing cast-in ferrous metalwork had corroded, damaging surrounding areas. 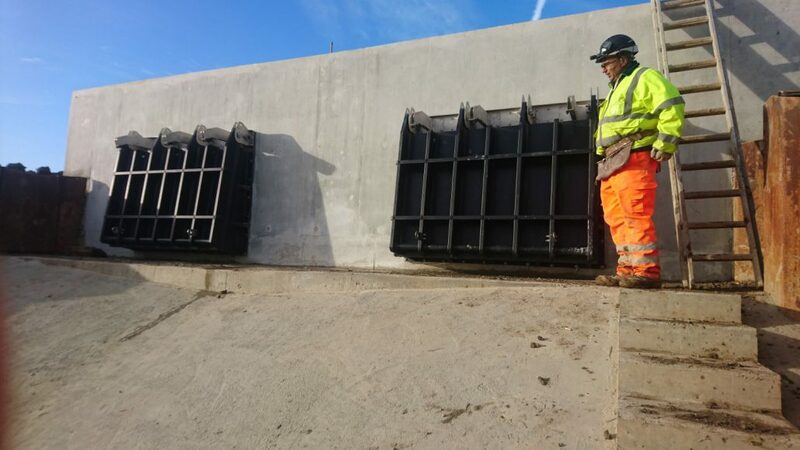 Existing steelwork was removed, the damaged concrete sections were broken out, shuttered and repaired using a C40 concrete incorporating new stainless holding down bolts. 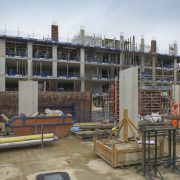 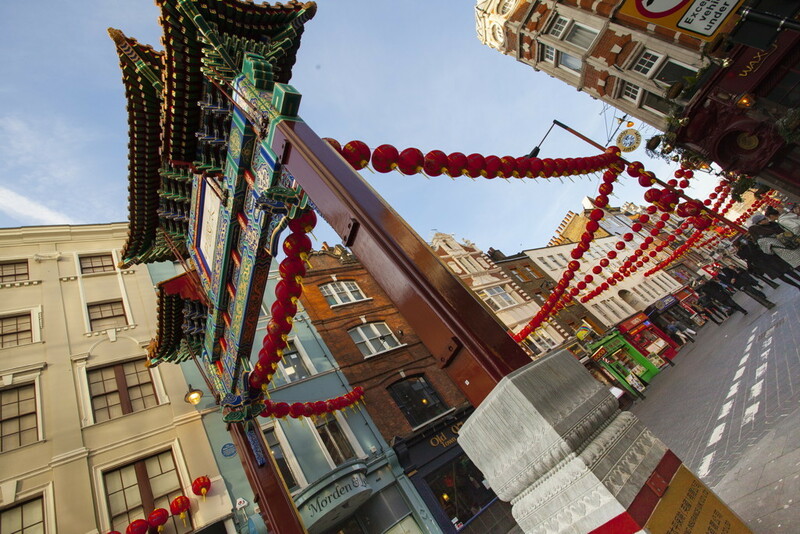 This included a detailed survey of existing steelwork lengths and the supply of all materials. 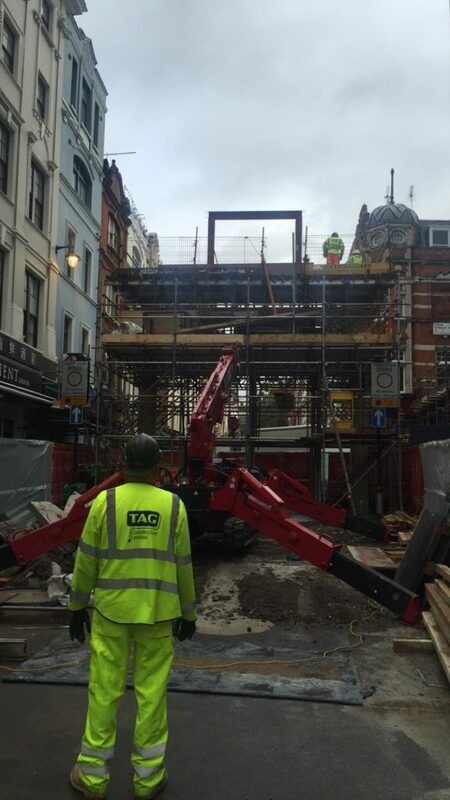 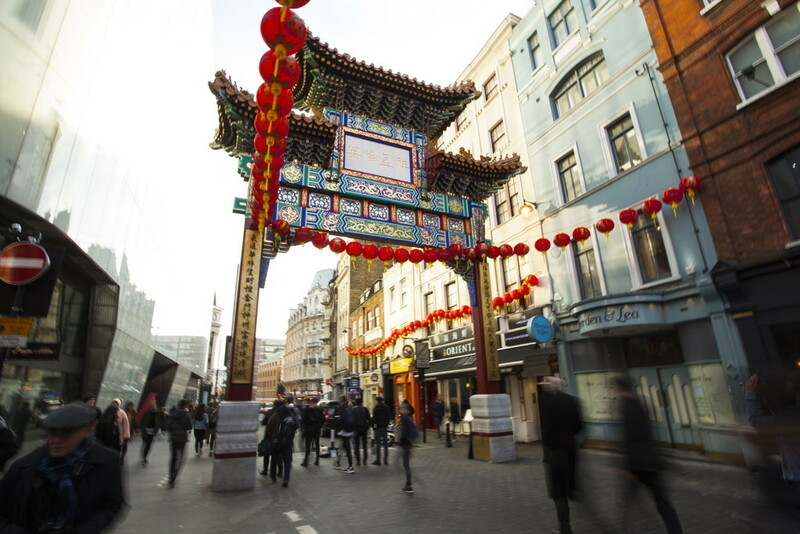 Much of the work was carried out at height in conjunction with a rope access platform team. 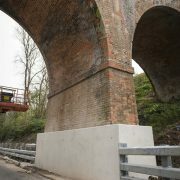 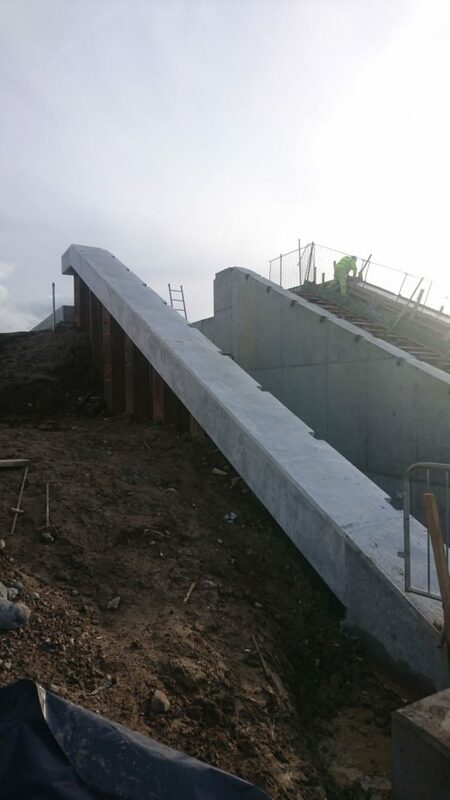 The project was split into two phases with a very tight programme along with additional concrete repairs to other sections of parapet. 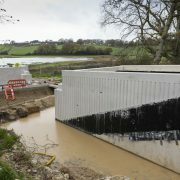 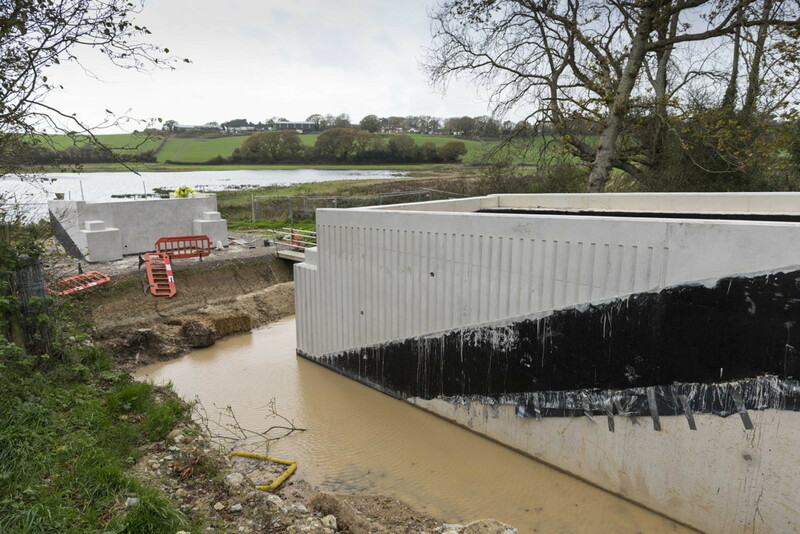 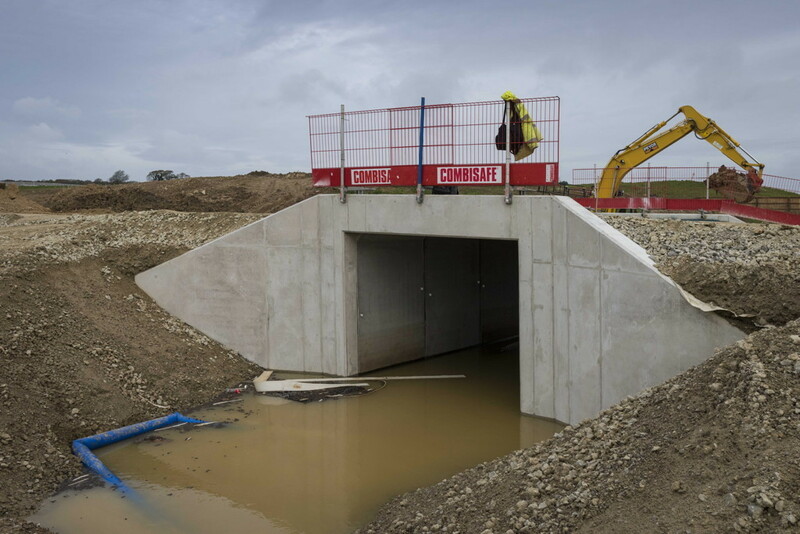 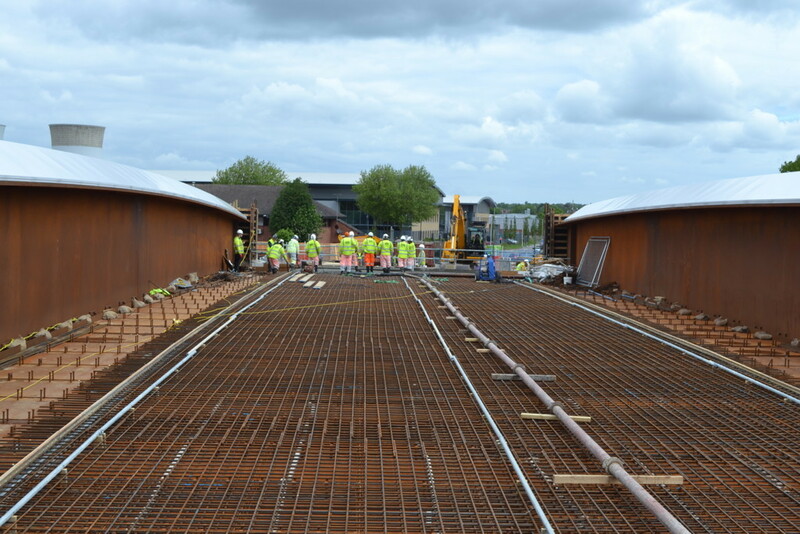 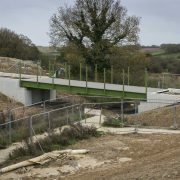 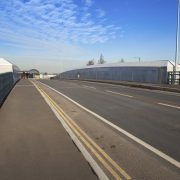 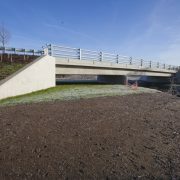 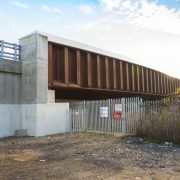 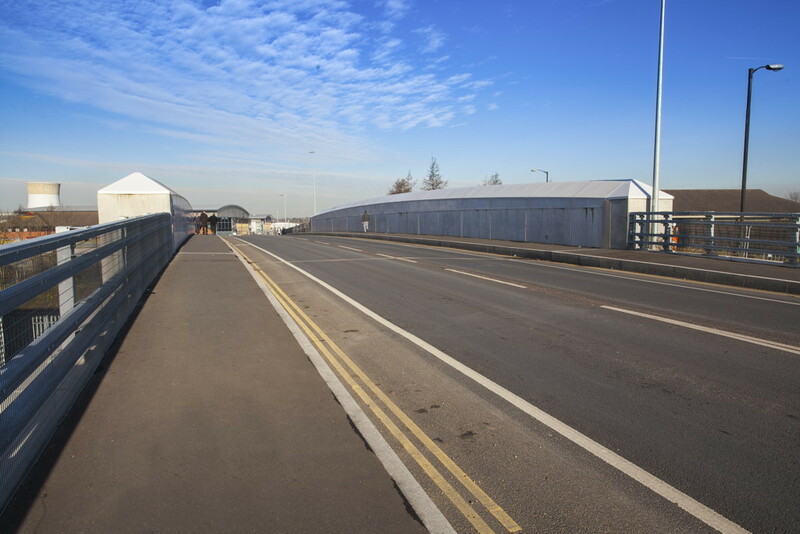 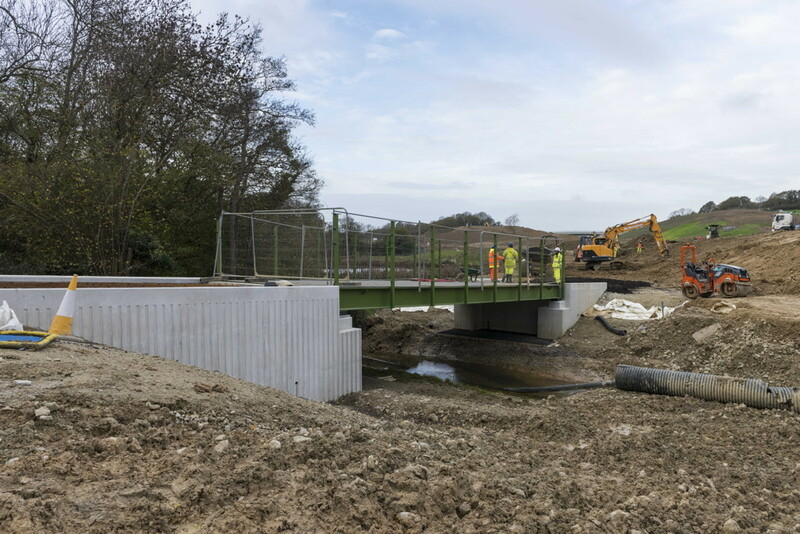 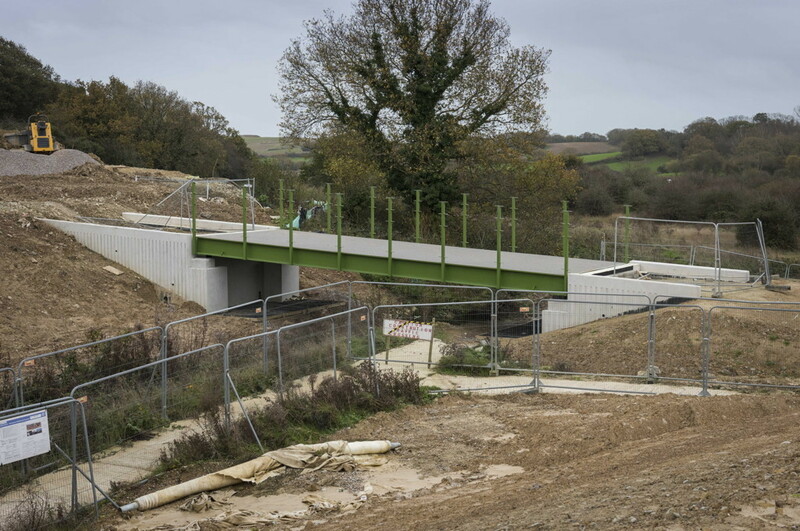 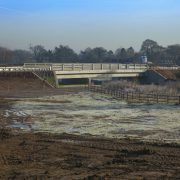 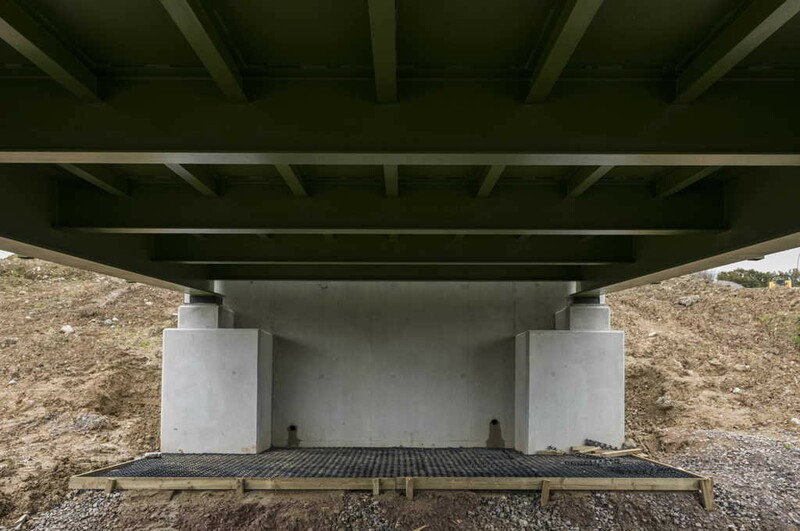 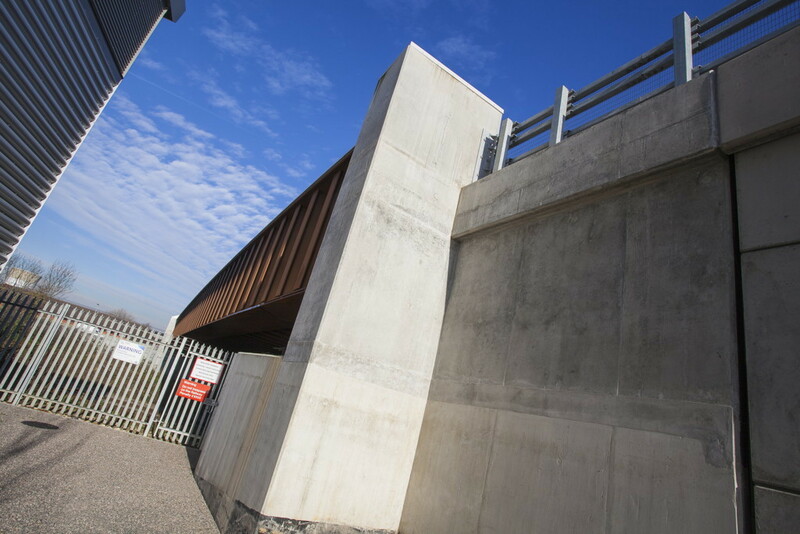 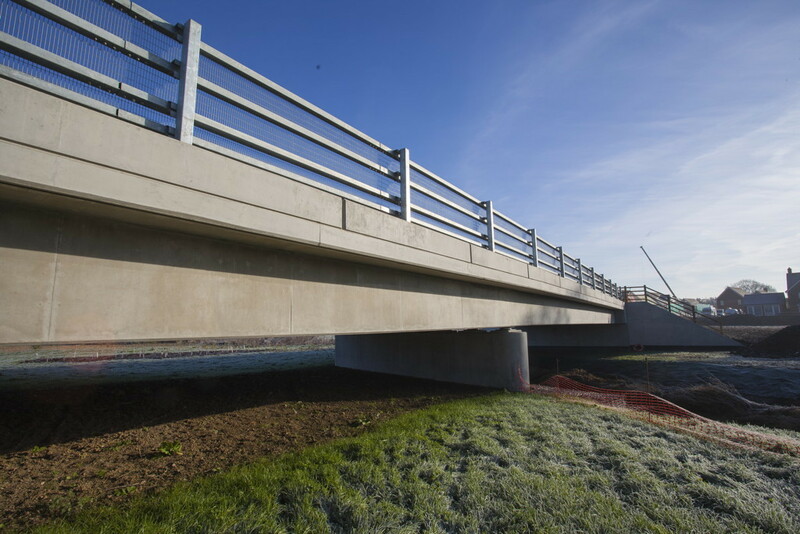 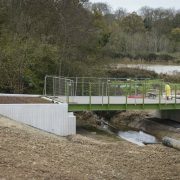 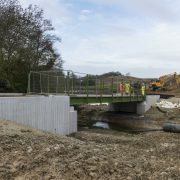 TAG Construction Ltd were contracted to construct the greenway route bridge pilecaps, abutments and wingwalls. 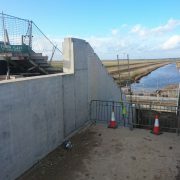 Works were carried out flood plains over rivers with associated safety and environmental hazards controlled. 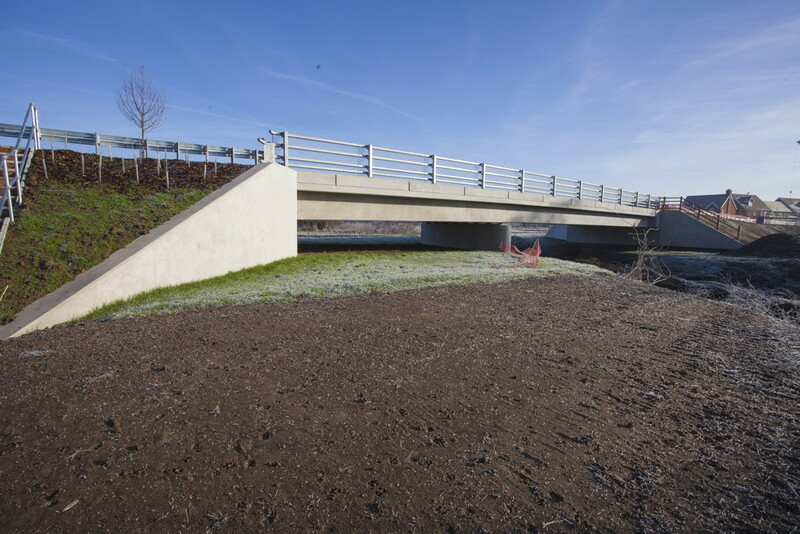 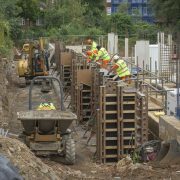 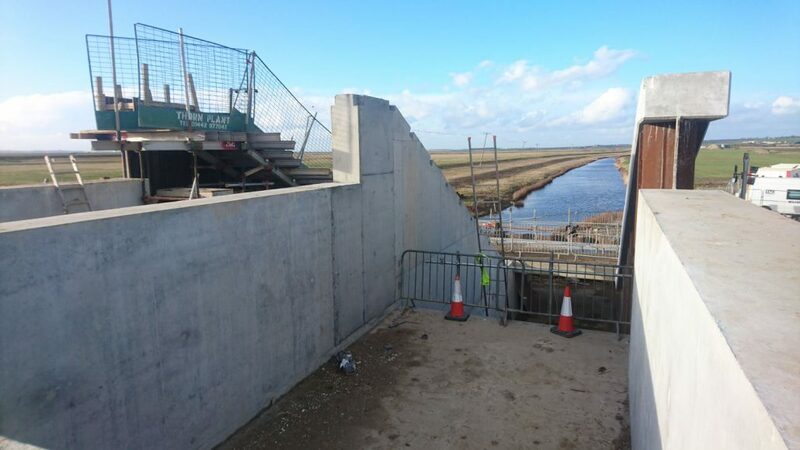 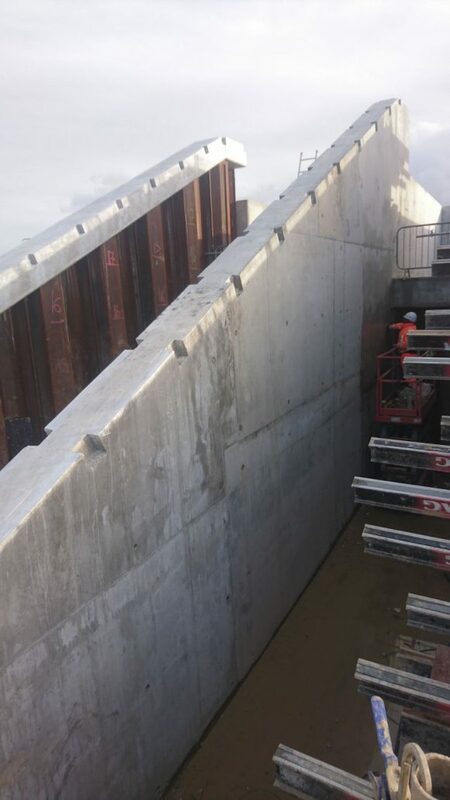 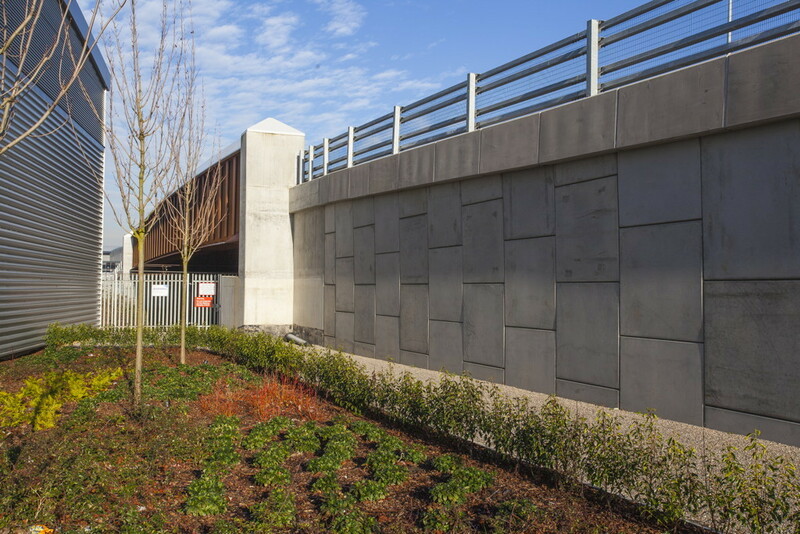 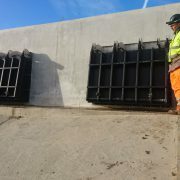 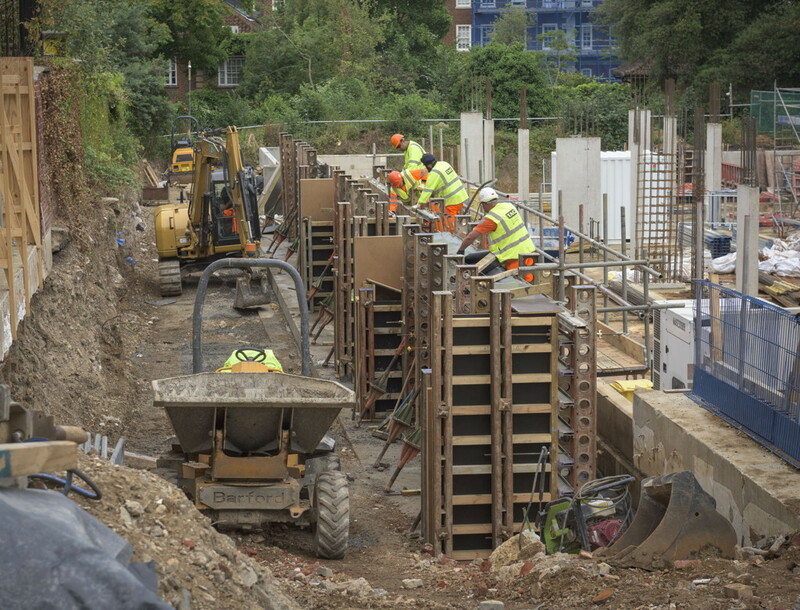 RC retaining walls were required between various structures to retain the backfill beneath the new road, including plinths and HD bolts for a new VRS. 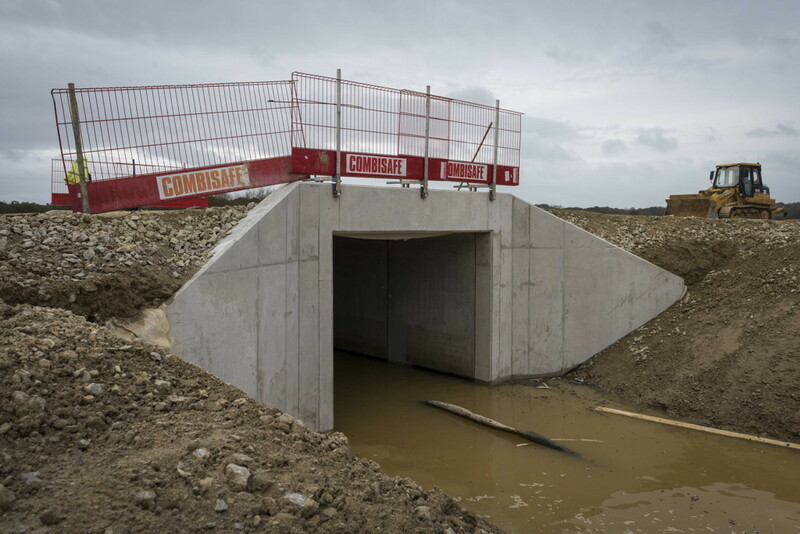 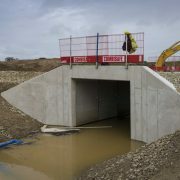 Culvert headwalls and wingwalls were constructed around precast culvert sections. 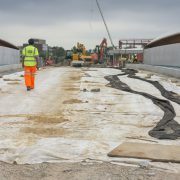 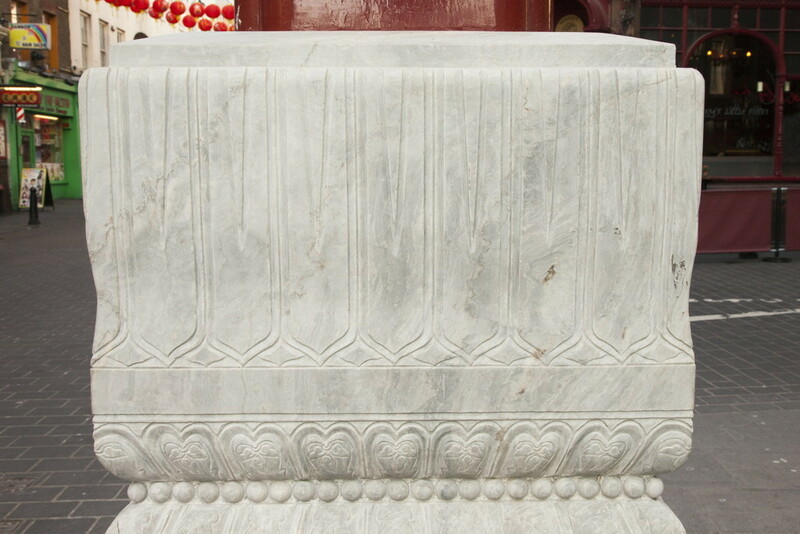 TAG also provided the customer with skilled labour for various repairs and remediation to other concrete elements on the project. 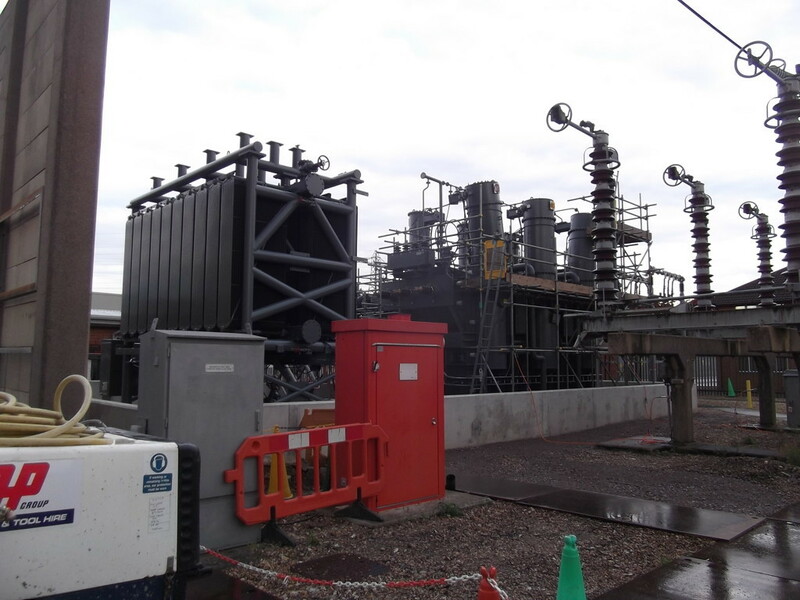 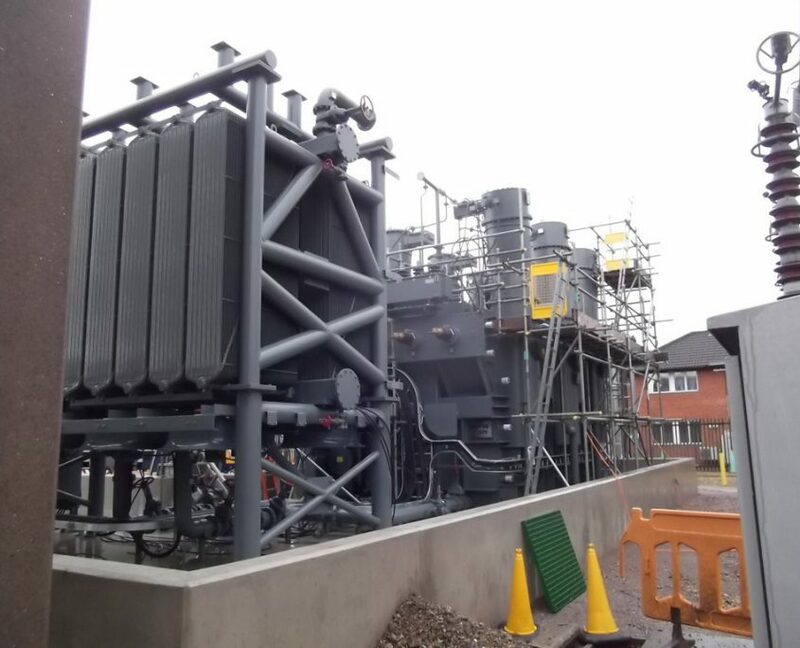 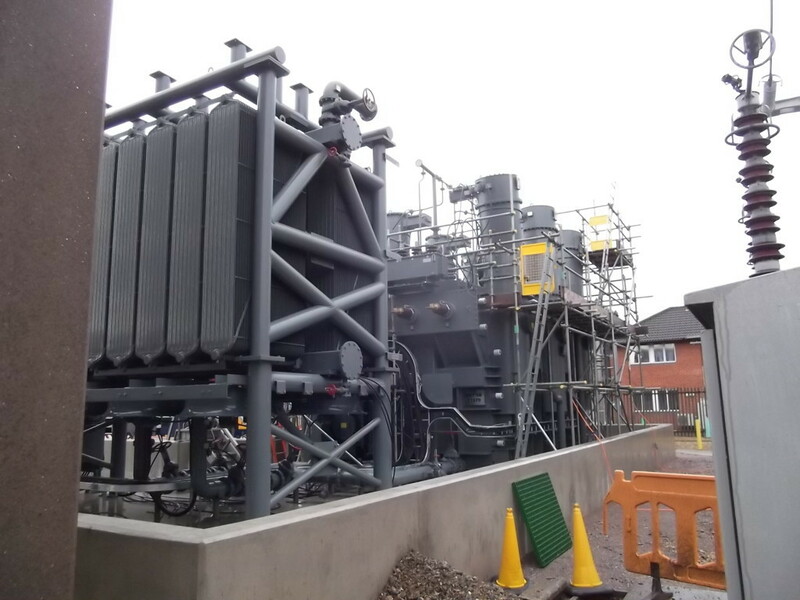 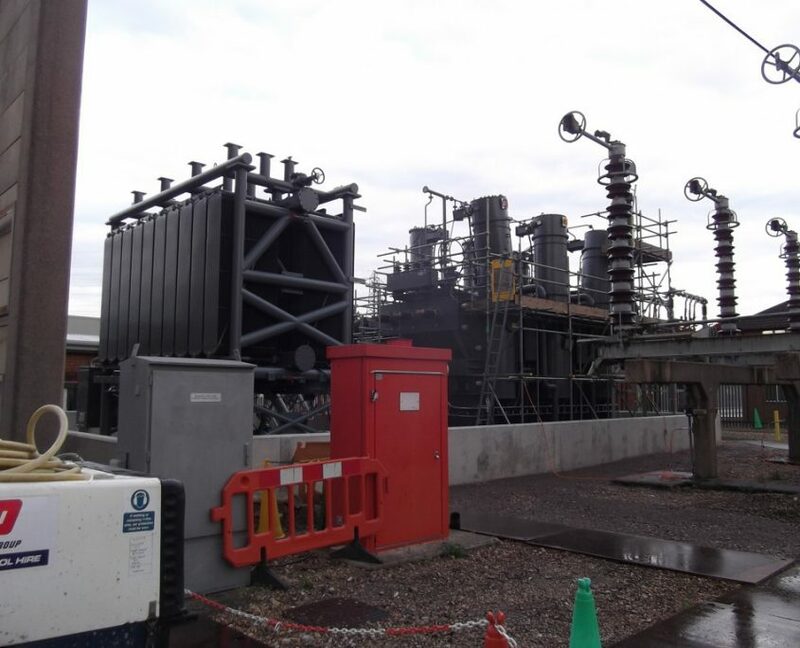 Beddington Substation for AMS JV. 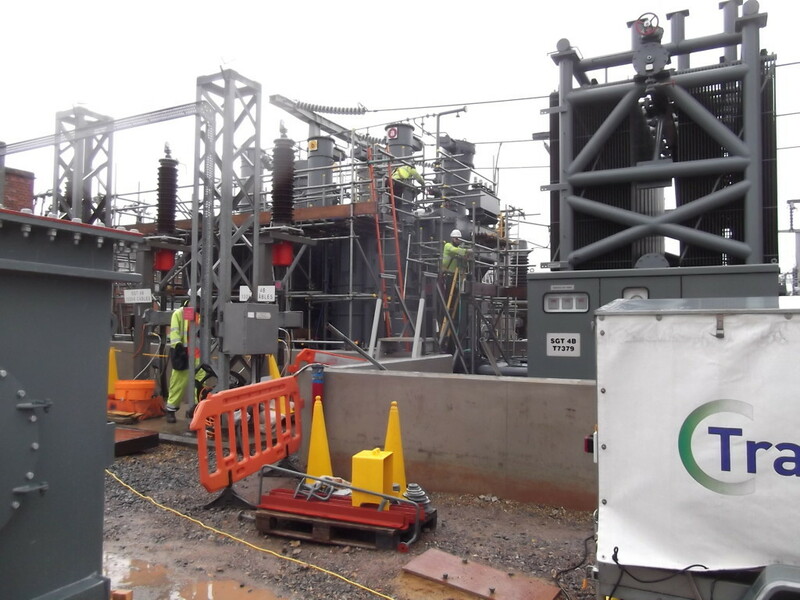 Construction of a new supergrid transformer bund and plinths. 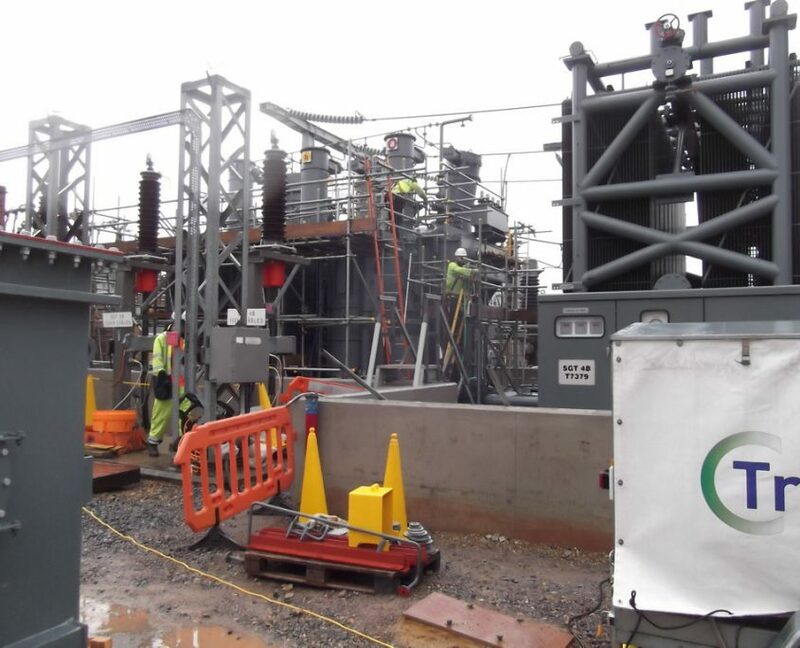 Working within an operational 400kV substation, Nation Grid Persons and BESC training required.